Published Dec 12, 2014 by Peachpit Press. Part of the Learn by Video series. Is your network ready to handle an influx of new devices? Will each individual have his or her own device or will this be a shared device scenario? These are all important considerations when deciding how to set up OS X Server and use the Profile Manager service. In Fundamentals of Profile Manager you’ll get the basics on Profile Manager and learn what it can offer as an MDM (Mobile Device Management) solution. After learning how to set up Server and configure the DNS service, you’ll move on to creating an Open Directory master and backing up service settings. 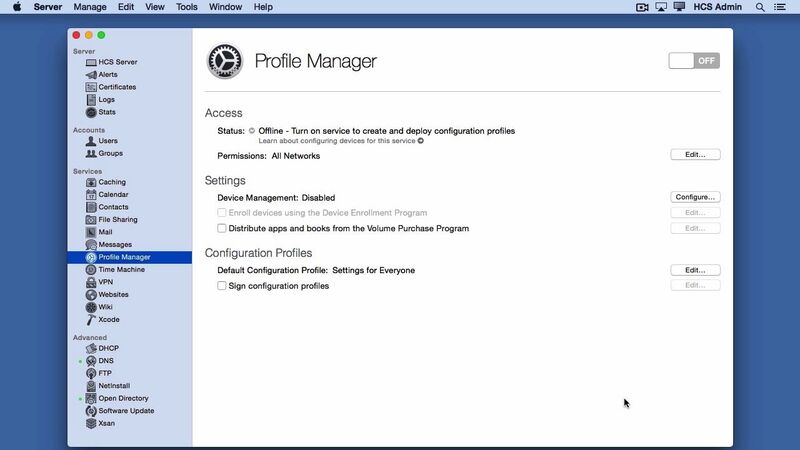 You’ll learn how certificates work for devices to “trust” your server as well as the multiple methods for enrolling devices in your Profile Manager solution. Finally you’ll learn about un-enrolling devices and what controls the end user should or should not have on their MDM.